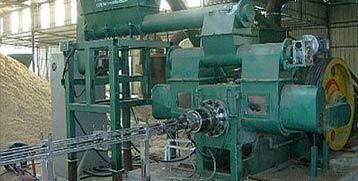 Coal briquette binders is used to help form the coal dust to briquette. Binders help the coal briquette making with lower pressure and higher quality. 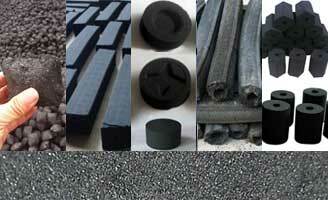 Choose a proper binder is a very important factor in coal briquette making. As the large amount of coal dust generated every year, the key point on the binder of coal briquetting process is with low price and high performance. Basic binder requirement should be according to local suitable to take such measures as one suitable to local conditions. Additives can be added to the coal dust with size small enough, also they can be added together with the binder (mixed). Main coal binders can be classified into 3 types – organic, inorganic and composite. The organic binder is good in bonding property, finish coal briquette with high strength, but the thermal strength and thermal stability of briquette are poor, and some binders have poor water resistance. The inorganic binder has a wide source and lower in cost, and the coal briquette has a good thermal strength and thermal stability, but it will increase the ash content of the briquette and reduces the calorific value. The complementary properties of the materials mixed by the composite adhesive are the development direction of the binders. Coal tar pitch, coal tar, and petroleum asphalt and their residues. There are also high molecular polymers, starch, vegetable oil residue, animal glue, industrial waste, humate, lignocellulose, etc. Clay, bentonite, kaolin, cement, water glass, raw (cooked) lime, calcium carbide mud, phosphate, sulfate, etc. Organic and inorganic binders, each with their own distinct characteristics, can complement each other. When preparing the binder, any two kinds of binders can be blended and used, which are called composite binder, such as organic-organic binder composite binder, organic-inorganic composite binder, inorganic-inorganic composite binder. These types of binder can be work with better performance compared to one single binder. Examples of coal composite binders: Humic acid + clay; Sodium silicate + clay; etc. Generally, the more the binder added to the coal dust, the higher the strength of the briquette. However, in order to reduce the briquette plant cost, binder adding should be lower as long as the quality of the coal briquette is qualified. 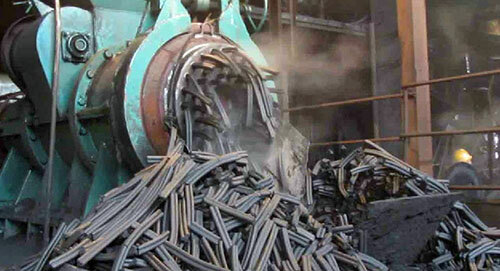 The amount of binder added depends on the type of coal used and the type of binder selected. 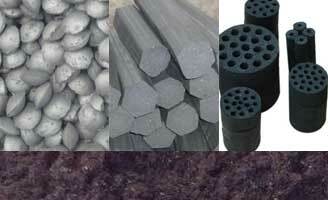 Some coals have a certain degree of cohesiveness which can be briquette with little or no binder. Normal binder rate on coal briquette making is between 4%-10%, the lime rate for carbonized coal ball briquette is between 20% and 25%. The simplest way of sulfur fixation is to add quicklime (calcium oxide) to the coal dust as a sulfur-fixing agent during the batching. There are various kinds of calcium-based materials that can be used as sulfur-fixing agents, such as limestone, dolomite, quicklime, slaked lime, calcium carbide slag, and white mud. The method of increasing the cold strength is to add the organic binder such as petroleum pitch, high molecular polymer, vegetable oil residue, animal glue, etc. in coal briquette making. 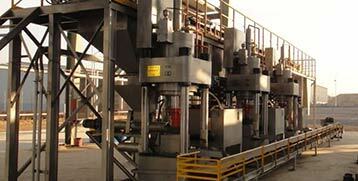 The practice has shown that the addition of bentonite, clay shale, clay, kaolin, etc. to the binder can enhance the heat strength of coal briquette. 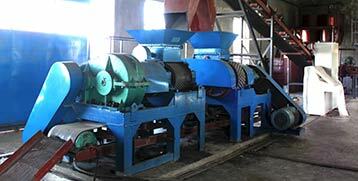 To control the moisture in the coal briquette, especially the internal moisture of the raw coal dust. Total moisture in the coal briquette should be kept at 3-4%. If the moisture is too high. When the temperature rises, the briquette will burst or break. The way to improve the wet strength of coal briquettes is to add a waterproofing substance such as water glass, cement, kaolin, etc. 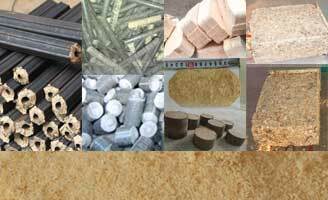 The calorific value of briquette is derived from the carbonization age and fixed carbon content of the raw coal dust. Anthracite has the longest carbonization age and the highest fixed carbon content, which is the preferred additive to increase the calorific value of briquette.